This post was sponsored by SpermCheck, all opinions are always my own. When first trying to conceive, many women want to know how to make it happen as quickly as possible. 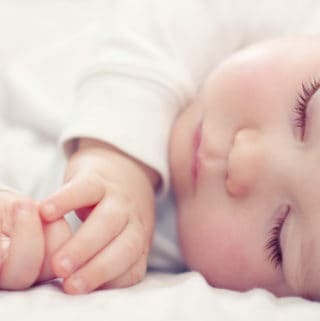 I had no idea when trying for my first baby how to know, but I was already 35 and I was worried about my age possibly being an issue when hoping to get pregnant. So, one of the first items I needed to find out was can I conceive, and how would I know? I went to my OB/GYN and she told me to use ovulation tests and chart my cycle. Using those ovulation tests gave me my first clues my body was ovulating, and I could in fact hopefully conceive despite my more advanced age. I have since gone on to have three children using ovulation tests. I now always recommended that anyone trying to conceive use ovulation tests to predict when they are ovulating, and to make sure they are ovulating. While charting your cycle and using ovulation tests is one of the first steps taken to help with conception, there are other issues women and men can face when it comes to fertility. 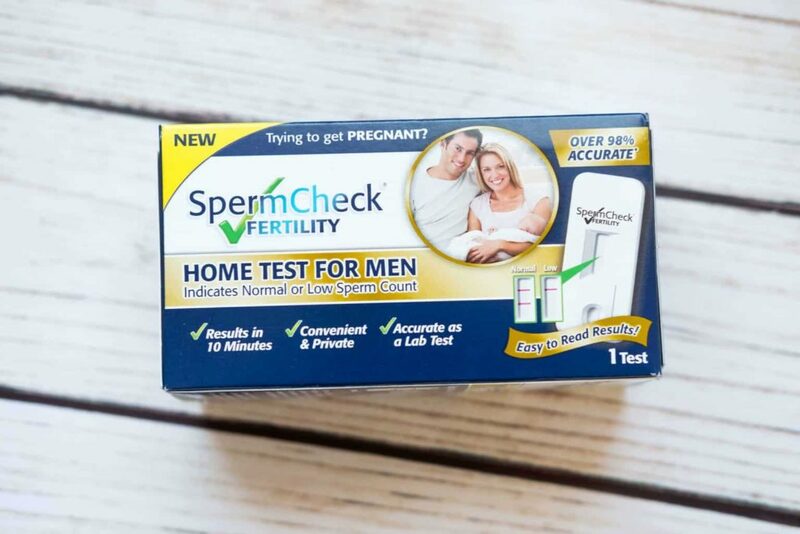 In addition to ovulation tests you can take a SpermCheck Fertility test which can check a man’s fertility and sperm count. Male infertility can account for up to 40%-50% of infertility. The test I am recommending is as quick and easy to use as taking an ovulation or pregnancy test. 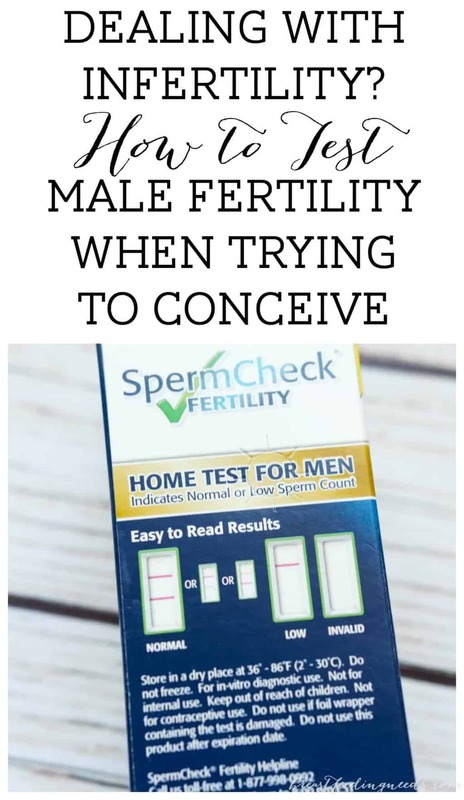 While you can wait to take a male fertility test until you have been trying awhile, you can also take it anytime if it will give peace of mind that everything is working as it should. In general it is recommended that couples see a doctor if they have been trying to conceive without success for more than a year. For women 35 and older (like me!) it is recommended after six months of trying. But, I know most of us do not want to wait that long to find out if anything is wrong. I recommend the SpermCheck Fertility test to couples even if they already have children as well. Secondary infertility can occur and does occur often, so this test can help narrow down the issue in those cases. Detailed instructions are included with the test and are easy to understand. Results are within 10 minutes. The test is over 98% accurate. This is an easy way to test male fertility conveniently and in the privacy of your own home. 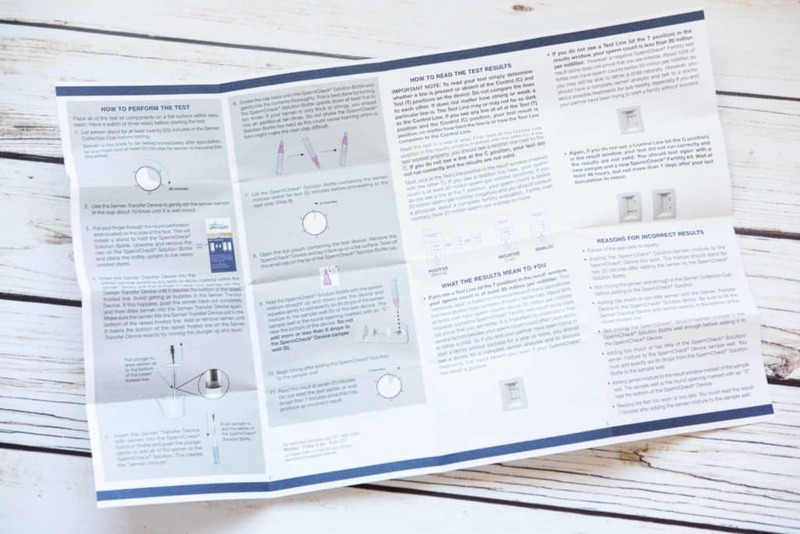 Even though I am not trying to conceive, I received the SpermCheck Fertility Test and thoroughly checked it out. I found the instructions and product very easy to understand. The instructions are clear and give guidelines for taking the sample exactly. The results are read similarly to an ovulation or pregnancy test. There is a control line and a test line. If you see both lines in pink then the sperm count is at least 20 million per milliliter. About 90% of fertile men have sperm counts above 20 million per milliliter. 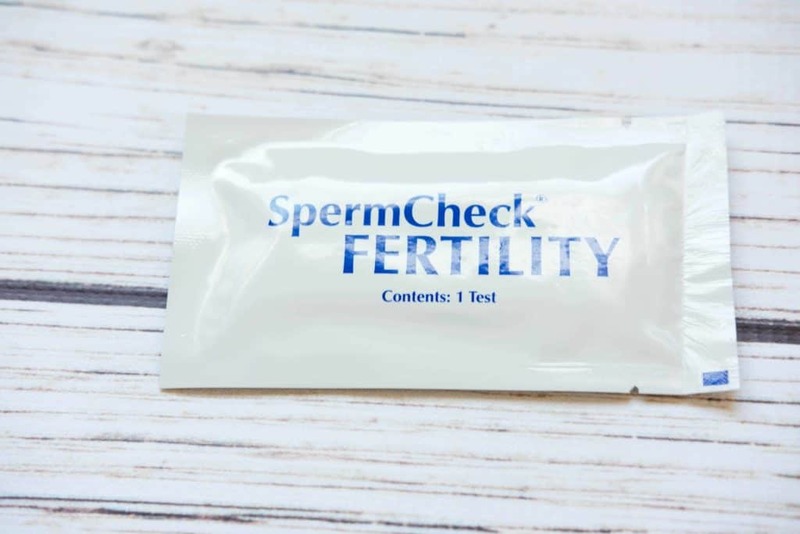 If you only see the control line in pink and do not see the test line than your sperm count is below the recommended amount of 20 million per milliliter. About 10% of fertile men have sperm counts below this mark which means a negative test is not definitive, but you definitely want to see a doctor about it and get further testing. 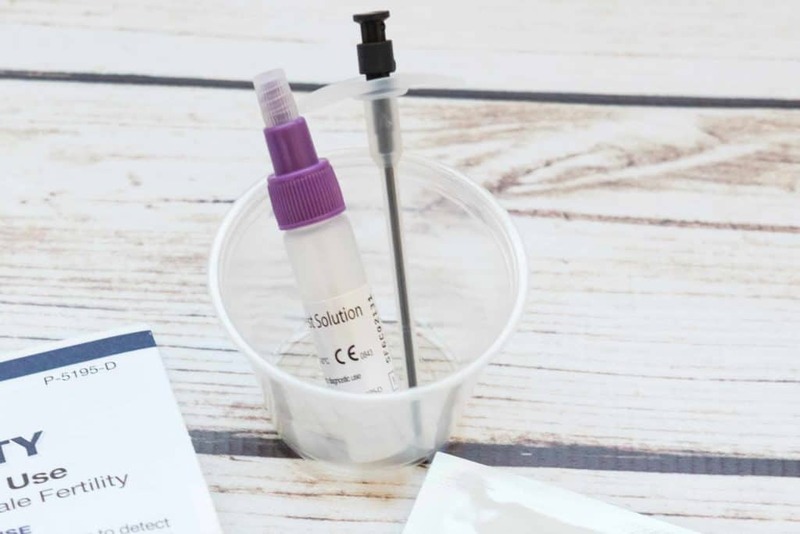 And, just like we have all experienced with ovulation test kits and pregnancy tests, there can be invalid results when you see no lines or only the test line. If this is the case you will need to wait and test again. 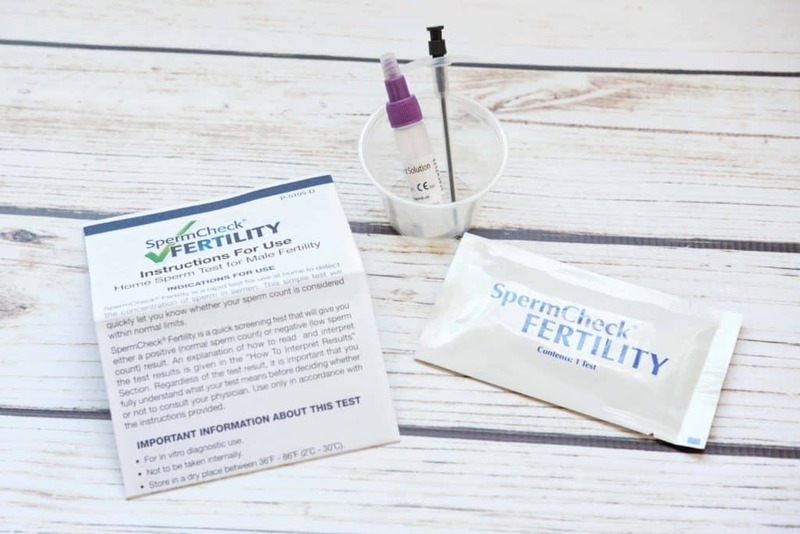 The SpermCheck Fertility Test is an easy and affordable test to rule out male infertility. I recommend it for anyone who may be concerned about this issue. While it’s always best to discuss infertility concerns with a doctor, being able to screen for issues in the privacy of our own home is a convenient first step. I am super done having babies so I have given this test to a friend who is trying to conceive. She has told me it was easy to use as I thought it would be and recommends it as well! It can also be found at many drugstores and on Amazon! 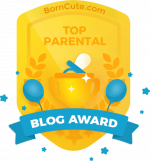 Previous Post: « Mommy Knows Best Lactation Products and Gifts for New Moms!